It is supplied with a full 12 Month Sony UK warranty as new. View Our Categories. Trending at AU $3,242.06eBay determines this price through a machine-learned model of the product's sale prices within the last 90 days. Model Number: SEL1018. (Sony SEL1018). Check out the Sony E 10-18mm F4 OSS Lens's Key Features. Introducing the super wide-angle zoom lens, the Sony E 10–18mm F4 OSS. From expansive landscapes to striking interior shots with dramatic perspective, capture it all with total precision – even in low-light conditions. VARIO-TESSAR T FE 24-70MM F4 ZA OSS E-MOUNT LENS SEL2470Z. Front Lens Cap. Rear Lens Cap. Hood shape / mount. Our warranty covers labour costs for repairing the faulty unit. LOST PARCEL AND DISPUTE CASES. Trending at AU $1,020.90eBay determines this price through a machine-learned model of the product's sale prices within the last 90 days. (SEL1635GM). 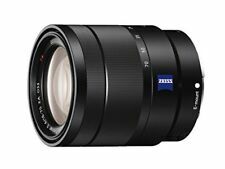 Sony FE 16-35mm f/2.8 GM Lens. Rear Lens Cap. Front Lens Cap. Lens Pouch. 11.02" (28 cm). 11, Rounded. Our warranty covers labour costs for repairing the faulty unit. E-mount lens for the first G lens. lens Front cap Lens rear cap / regard your order is, I need your help by one per person. E-mount lens (for Sony mirrorless single-lens). Sony (SONY). Great service. Vivitar HD 0.43x Wide Angle Lens with Macro Lens. Front Lens Covers. Back Lens Covers. Professional High Definition: PHD lens reduces glass flare and ghosting causes by reflections. Type Wide Angle. Pro HD Wide Angle Lens with Macro for. Macro Lens with Wide Angle Lens. This is a 0.43x Pro HD wide angle lens with MACRO. This Lens Set is good for Olympus 17mm lens or any other lens that has 46mm or 52mm filter size. High Definition AF Wide Angle Lens with Macro For Sony DSC-RX10 III M3. Pro Series 0.43x Wide Angle Lens with Macro. Macro adapter for close up photography. Pro Series 0.43x HD Lens. Front Lens Cover. 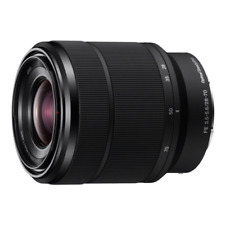 High Definition AF Wide Angle Lens with Macro forSony SLT-A65, SLT-A57 and SLT-A55. Pro Series 0.43x Wide Angle Lens with Macro & Ring adapter. Macro adapter for close up photography. This lens is for Sony 18-55mm lens or any other lens that takes 55mm filter. Pro Hi Definition Wide Angle Lens with Macro for Panasonic Lumix DMC-FZ1000 DMC-FZ1000K. HD 58mm 0.43x Wide Angle Lens With Macro. Front Lens Cover. Back Lens Cover. Professional High Definition: PHD lens reduces glass flare and ghosting causes by reflections. High Definition AF Wide Angle Lens with Macro For Sony SLT-A35K SLT-A35 A35. Pro Series 0.43x Wide Angle Lens with Macro. Macro adapter for close up photography. 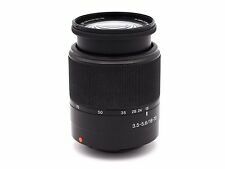 This lens is for Sony 18-55mm Lens Kit or any other lens that has 55mm Filter Thread. Pro Hi Definition Wide Angle Lens with Macro for Sony DCR-SX45 Camcorder. This is a 0.43x Pro HD wide angle lens with MACRO. Macro Lens. Wide Angle Lens. Lens Covers. Professional High Definition: PHD lens reduces glass flare and ghosting causes by reflections. This lenses are for Sony 18-55mm lens or any other lens that takes 55mm filter. Wide Angle Lens Wide Angle Lens with Macro. This is a 0.43x Pro HD wide angle lens with MACRO. Lens Covers. Digital Multi Coated Lens. High Definition AF Wide Angle Lens with Macro forSony NEX-7. Pro Series 0.43x Wide Angle Lens with Macro & Ring adapter. Macro adapter for close up photography. This Wide Angle lens is good for both 16mm and 18-55mm lenses that have 49mm filter size.